The small business digital grants program is open. If you would like to find out how to use the grant to build a new website, develop a strong on-line presence or take advantage of tailored digital coaching for yourself or your staff, please call me on 0431 281 125 or email me at roxy@roxanngrey.com to find out more. As with any government program, there are terms and conditions that apply. Please see below or click here to visit the Queensland Government website. Congratulations to Paragon Gardens - successful grant recipients. Tell me more about the Small Business Digital Grants Program. Congratulations to Paragon Gardens for your successful grant application. I worked with Sacha and Lachlan, recipients of the grant from a previous round to develop a professional website and conduct a tailored digital coaching program. 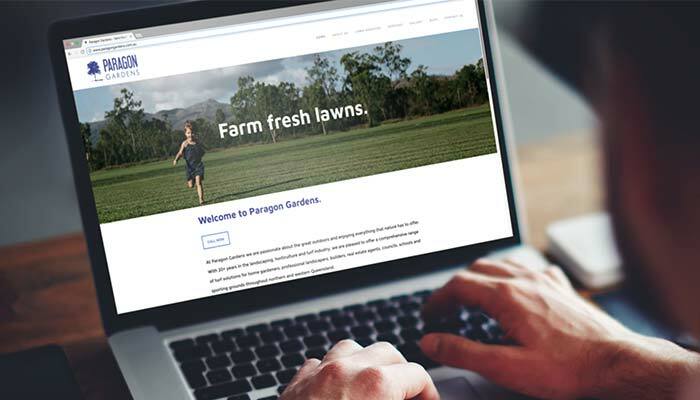 Through this coaching program, I taught Sacha and Lachlan how to build a strong on-line presence for their business; Paragon Gardens. ​Or call Roxanne on 0431 281 125 or email her at roxy@roxannegrey.com to give you a hand!